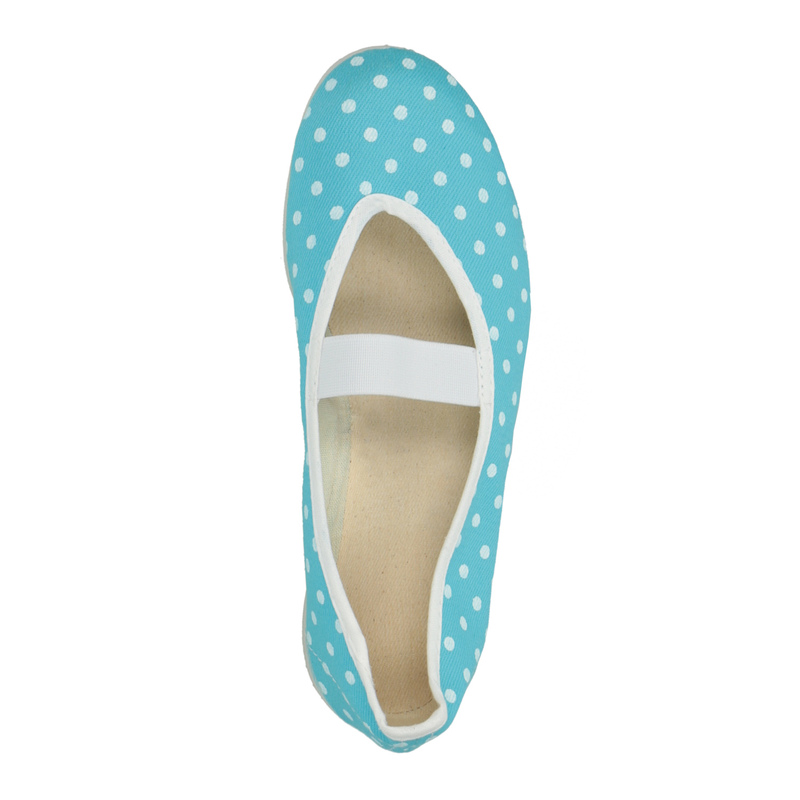 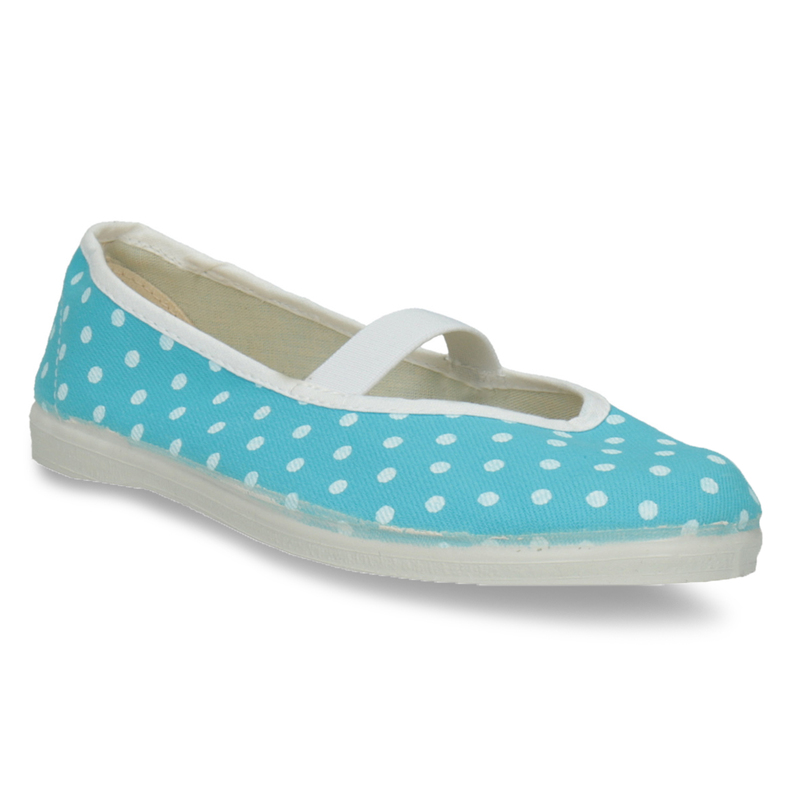 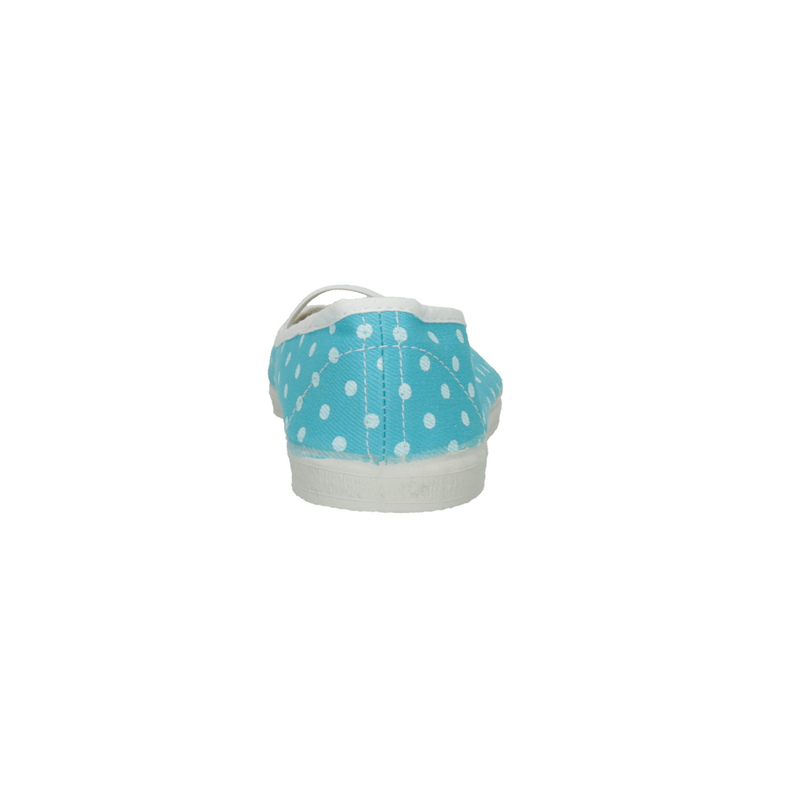 These stylish children’s slip-ons have a blue upper with polka dots and so are designed with girls in mind. 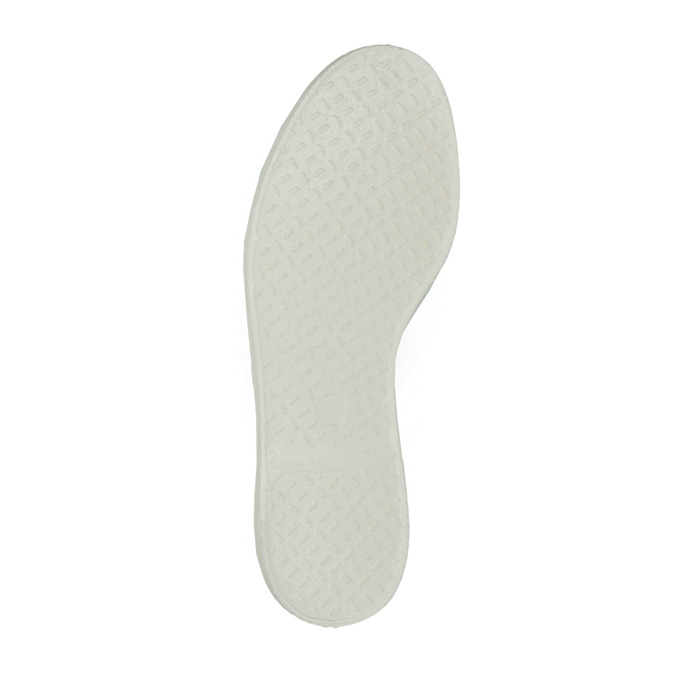 The elasticated strap across the instep grips the foot firmly in the shoe and it goes without saying that they have a comfortable sole, to keep your feet feeling good all day long. This makes them ideal as slippers, slip-ons or gym shoes.